Here's where to watch every episode of Walt Disney's Wonderful World of Color season 25. Mouseover or tap an episode to see where to stream it. Click or tap the play icon to stream it on the best available service. 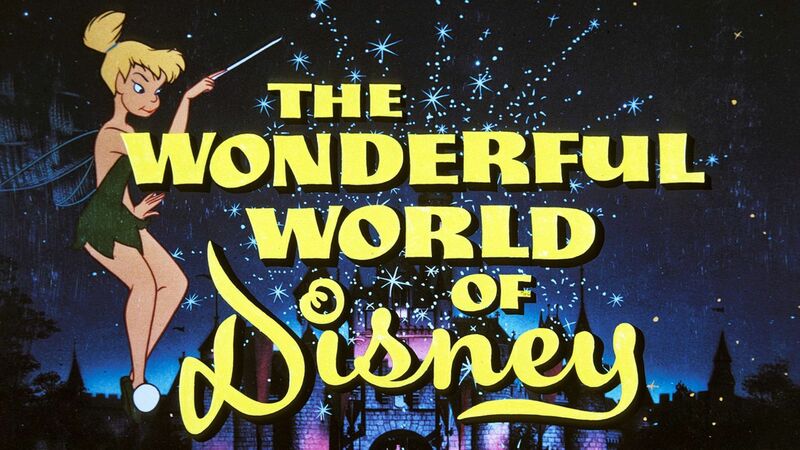 NBC Salutes the 25th Anniversary of The Wonderful World of Disney Sep 13, 1978 A tribute to Disney's films up to 1941 is the focus of this installments. Celebrity guests introduce clips of DIsney animation up to that time, leading into an uncut presentation of the movie Dumbo. In Search of the Castaways (1) Sep 24, 1978 With his family's happy support, Wilby Daniels decides to try and get elected District Attorney in place of dishonest John Slade. But then robbers steal the magic Borgia ring that made things a bit difficult for Wilby as a lad. Once again he keeps turning into a large woolly dog at awkward moments. Unless he can get the ring back his chances of winning the election don't look good, as mean old Slade soon realises too. In Search of the Castaways (2) Oct 1, 1978 The Grant children know their shipwrecked father must still be alive. Didn't he send them a message in a bottle? They convince a sea captain to go on a search. From the Andes to Austrailia all around the globe they travel, dealing with earthquakes, fires, floods, and cannibal tribes just to find him, But when it turns out to be an act of Piracy they must really pull together, or they might not be able to make it through just one more Un-Natural disaster. The Gnome-Mobile (1) Oct 8, 1978 The Grant children know their shipwrecked father must still be alive. Didn't he send them a message in a bottle? They convince a sea captain to go on a search. From the Andes to Austrailia all around the globe they travel, dealing with earthquakes, fires, floods, and cannibal tribes just to find him, But when it turns out to be an act of Piracy they must really pull together, or they might not be able to make it through just one more Un-Natural disaster. The Gnome-Mobile (2) Oct 29, 1978 An eccentric millionaire and his niece and nephew are embroiled in the plights of some forest gnomes who are searching for the rest of their tribe. While helping them, the millionaire is suspected of being crazy because he's seeing gnomes! He's committed, and the niece and nephew and the gnomes have to find him and free him. The Boatniks (2-hour) Nov 5, 1978 An eccentric millionaire and his niece and nephew are embroiled in the plights of some forest gnomes who are searching for the rest of their tribe. While helping them, the millionaire is suspected of being crazy because he's seeing gnomes! He's committed, and the niece and nephew and the gnomes have to find him and free him. Mickey's 50 Nov 12, 1978 Mickey Mouse, arguably the most recognizable star in the civilized world, is paid tribute on his 50th birthday by celebrities. Some appear in brief cameos, but others appear in longer segments describing Mickey's career. There is also a sequence of an obsessed collector of Mickey Mouse memorabilia (using impressive stop-motion cinematography). Donovan's Kid (2) Jan 7, 1979 Two Con Men (Darren McGavin, Mickey Rooney) team up to rescue One's Family in circa-1900s San Franciso. Shadow of Fear (1) Jan 14, 1979 Two Con Men (Darren McGavin, Mickey Rooney) team up to rescue One's Family in circa-1900s San Franciso. The Omega Connection (2-hour) Mar 4, 1979 When practicing for a role, actor Jack is mistaken for the killer Ace. He doesn't realize this until it's too late and is carried off to gangster boss Leo Smooth, who wants Ace to do a job for him. Fearing for his life, Jack plays his role, but always searching for a way out of the well-guarded house. The Sky Trap (2-hour) May 13, 1979 Plane crash. A cargo of illegal narcotics. And the mysterious disappearance of an infamous drug smuggler called ""The Hawk."" The stage is set for a dangerous cat and mouse game as young Grant Stone (Marc McClure) stumbles into ""The Hawk's"" domain. Grant and his girlfriend (Kitty Ruth) become the targets of a pair of bloodthirsty smugglers on the ground... and in the sky where ""The Hawk"" is ready to swoop!